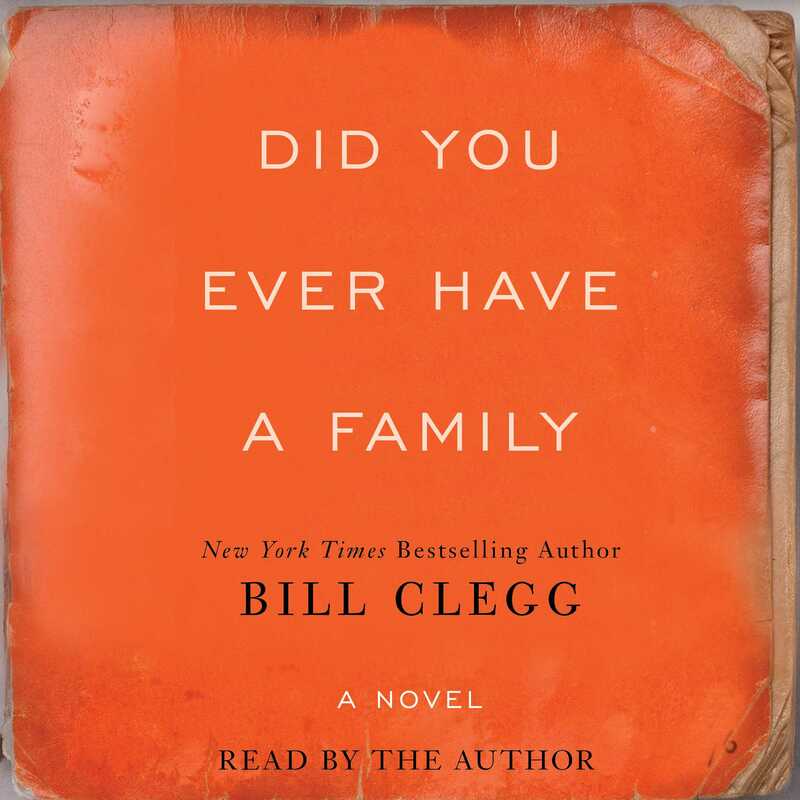 This reading group guide for Did You Ever Have A Family includes an introduction, discussion questions, ideas for enhancing your book club, and a Q&A with author Bill Clegg. The suggested questions are intended to help your reading group find new and interesting angles and topics for your discussion. We hope that these ideas will enrich your conversation and increase your enjoyment of the book. On the eve of her only daughter’s wedding, June becomes the sole survivor of a catastrophic house fire that consumes her daughter, her daughter's fiancé, her ex-husband, and her boyfriend, Luke—her entire family, all gone. In the aftermath of this unthinkable tragedy, we are introduced to a series of characters whose lives are forever changed. From Rebecca and Kelly, the couple running the motel where June seeks solitude, to Rick the wedding’s caterer, to Lydia the town’s black sheep and mother to Luke—everyone touched by this tragedy is transformed and connected through shared heartbreak as they learn to cope with their loses and find solace in the least expected of places. At its core, this novel is the ultimate celebration of family—the ones we are born with and the ones we create. 1. After June has had an argument with her daughter, Lolly, the night before Lolly’s wedding, “Pru asked if she was okay, and June answered with a question that seemed to Pru more of a comment on June’s struggles with Lolly: Did you ever have a family? ” (p. 131) Why do you think Clegg choose this line as the title of his novel? What does being part of a family mean to each of the characters in the novel? Do any of their perspectives change? 2. When a particularly pushy news anchor asks June how she is “surviving” the loss of her loved ones following a house fire, she answers, “No one has survived.” (p. 12) Explain June’s statement. Do you agree with June that, although she is alive, she has not survived? How are June and the others affected by the tragedy are coping with their grief? 3. Rebecca says “Funny how you think people are one way or the other and most of the time you end up completely wrong” (p. 66) when describing her initial assessment of Cissy. What causes Rebecca to change her mind? Apply Rebecca’s statement to the other characters in Did You Ever Have a Family. Were you wrong about any? If so, how? 4. Discuss the structure of Did You Ever Have a Family. What is the effect of having multiple narrators? Do the differing points of view help to deepen your understanding of the main characters, particularly June and Lydia? If so, how? Why do you think that June’s and Lydia’s sections are told in the third person? 5. At a local bar, Lydia remembers hearing a patron say “Some trees love an ax,” and “something in what he said rang true, but when she later remembered what he’d said, she disagreed and thought instead that the tree gets used to the ax, which has nothing to do with love.” (p. 78) How does this statement apply to Lydia’s relationship with Earl? Are there any other relationships in Did You Ever Have a Family where this statement could apply? Compare and contrast Lydia’s relationship with Earl to the other relationships in the book, taking a look at June’s relationships with Adam and Luke. 6. What did you think about June and Lydia’s friendship? When Lydia sees June on the morning of the fire “June turned her face away as if avoiding a hot flame and . . . flicked her hand toward Lydia, the way you wave away an unwanted animal, or a beggar.” (p. 80) Why is this so hurtful to Lydia? Were you surprised to learn the reasons for June’s actions? What were they? 7. Of Lydia, George says “though she was troubled, she was also tough in ways that let me know she’d be okay.” (p. 174) Do you agree with George? Discuss Lydia’s relationship with George. Why are the two of them drawn to each other? 8. When the narrator first introduces June it is with the line “She will go.” (p. 9) Does this introduction affect how you think of June? In what ways? Why is June so set on severing all ties with Wells? Do you agree with her decision to do so? Why or why not? 9. Of Lolly, Dale, her future father-in-law, says “Lolly seemed unformed to us.” (p. 129) Did you get a sense of her character, and, did you think, like Dale “that despite her girlish manner, something was broken in her.” (p. 210) Explain your answer. What is the effect of including Lolly’s letter to June in the story? Did it help you understand both Lolly and her relationship with June? Explain your answer. 10. George says of his son Robert that when his wife Kay would “tell me it wasn’t [his son’s] job to be interested in me, it was my job to be interested in him.” (p. 170) Do you agree with Kay? What role do you think a parent should fill in his or her child’s life? Do you think that Lydia and June are good mothers to Luke and Lolly respectively? Give examples to support your answer. 11. Cissy says, “Rough as life can be, I know in my bones we are supposed to stick around and play our part.” (p. 289) What part has Cissy played in the lives of those around her? Talk about the way each of the characters in Did You Ever Have a Family affects the lives of those around them. Was anything particularly surprising to you? What? 12. Who is Winton? Although Lydia distrusts him, “she’s still not ready to step away,” (p. 143) she continue to take his calls. Why? What prompts Lydia to share her life story with Winston? Were you surprised by what she revealed? How do you think Winton’s presence has changed Lydia? 13. When June finds Lolly’s notebooks she remembers cataloging canvases by a deceased client and finding an old Boy Scout manual of his filled with drawings. “Very likely no one had ever seen these drawings, and she remembers having the fleeting instinct to steal the book and keep it herself.” (p. 179) Why does June think about hoarding the book? Why do you think finding Lolly’s notebooks has triggered this memory for June? How does June react to Lolly’s work? 14. Almost every one in Wells has an opinion of Luke, particularly after he dies. Edith calls him “that doomed Luke Morey” (p. 28), Rick remembers him as being “too big, too handsome, too something for the likes of us” (p. 52) and many of the locals gossip that he was a “local thug.” (p. 40) What did you think of Luke? Why do you think he was such a controversial figure in Wells? 15. Silas “thinks of himself as [Lydia’s] guardian, her shadow.” (p. 265). Why does Silas think that Lydia needs protecting? Silas ultimately decides to tell Lydia the truth about the role he thinks that he has played in Luke’s death. What makes him confess? What is the effect on Lydia? 1. Read Bill Clegg’s memoirs, Portrait of the Addict as a Young Man and Ninety Days and discuss them with your book club. Are there any similarities between the works, particularly in Clegg’s writing style? Did reading the memoirs help you better understand some of the themes Clegg has tackled in Did You Ever Have a Family? If so, discuss how. 2. June is able to find solace in the Moonstone Hotel in Moclips. Are there any places in your life where you are able to find peace? Discuss them with your book club. 3. Did You Ever Have a Family has drawn comparisons to The Hours. Read both books, then, compare and contrast them in your book club. In what ways are the two books alike? How is the structure of each book similar? What were the notable differences between the two? 4. 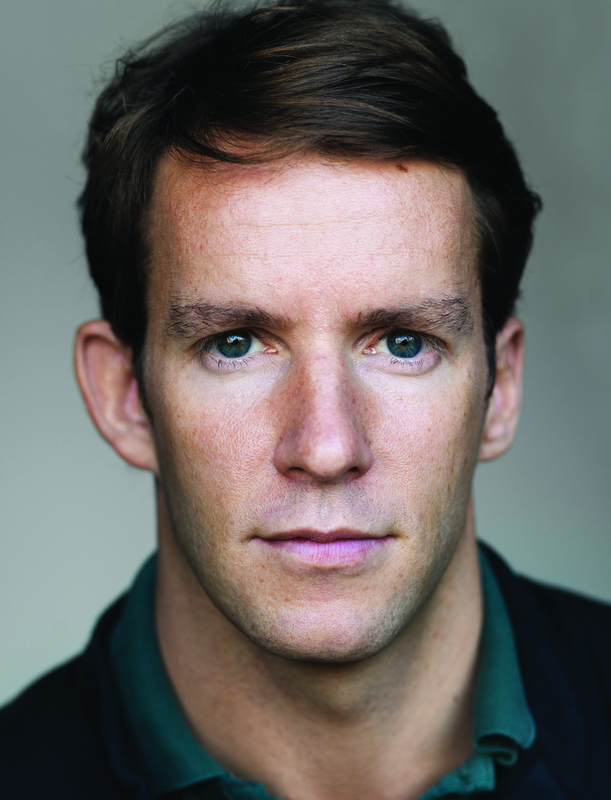 To learn more about Bill Clegg, visit his official site at www.billcleggauthor.com. As someone who has been both an author and a literary agent, do you have any advice for aspiring novelists? Is there anything you wish you had been told at the start of your career? Write!! And then write more. And keep it to yourself for as long as you can before sharing with others. The real writing comes in solving the problems that come up after you’ve been at it a while. I flopped around for over a year transcribing notes I’d email to myself all with “Novel” in the subject line, and took even longer taking stabs at how to tell the story that I only sensed I wanted to tell but had no clue as to the specifics. Take your time but don’t dawdle. You have to get comfortable with experimenting and getting it wrong and also staring at the computer screen with nothing to type. All this discomfort and doubt and frustration in the beginning is just what you have to go through to get to the place where something begins to take shape. Sometimes this period can last a long time. Sometimes not. Either way, it’s just as necessary as the days where you feel like you’re transcribing something that already exists and your fingers can’t move fast enough to put down the words that flow so easily (these days are fun and worth waiting for). Although you’ve written memoirs, Did You Ever Have a Family, is your first novel. Did the experience of writing a novel differ? How? It might sound strange given how sad the events in the novel are, but the experience of writing this was more joyful. It was exhilarating to discover these characters—their pasts, their particularities. For a long time, at least the first year and half of writing this, I would sit down with more questions about them than answers. With memoir there is much to be learned when you sit down to re-occupy and transcribe your past, but the events you remember are largely the events that can be remembered and the characters, too. What’s so liberating about fiction is that the world you are creating, while you are creating it, can be changed and shaped. At a certain point, however, it becomes almost as fixed and real as your own past and allows for only so much adjustment. Can you tell us a little about your writing process? Did You Ever Have a Family is intricately plotted, and the tragedy that begins the novel affects characters well beyond the town of Wells. When you began writing did you know how the story would end? I knew the last scene with Lydia and June in the first few months of writing and even wrote what I thought for a long time would be the last words, but I had no idea how to get there. And those words changed, by the way. At the very end of writing this draft, that scene in Room 6 at the Moonstone expanded and involved more description of Lydia than I had initially imagined. Silas was the joker in the deck of writing this book. He started out as a minor character and became more crucial as I wrote. Part of this might have to do with the fact that I enjoyed writing his sections. They are the most autobiographical (I worked as a gardener at the end of high school and all through the summers in college). You describe life in Wells and Moclips so vividly. Where the locations based on any in your life? Wells is a hybrid of several towns in Litchfield County, Connecticut, where I grew up, and Dutchess County, New York, where I spend time now. Moclips, though it is a real town on the Washington State coast, is more imagined. I have not been there but I have been on the Washington State and Oregon coast and the moodiness and beauty of that area made a deep impression on me. Elinor Lipman praised Did You Ever Have a Family saying “I marveled my way through . . . at not just the masterful writing and storytelling, but the emotional authenticities of every persuasion.” In fact, many of the characters in your novel are flawed in some way and, while some of their actions seem unforgivable, they all seem deeply human. How were you able to flesh out your characters? Could you identify with their choices? I love each of these characters—even and maybe most especially the ones who appear unlovable. I tried to imagine each of their experiences leading up to and including the period described in the novel and through that I could begin to feel compassion for them and see what would cause them to make some of the choices they make. This is something I try to do in life when I am bewildered or upset by the things people do and say. And, of course, this is something I have hoped people would do when my own actions and words bewilder and upset them. I have wanted forgiveness for things I have done and said and, because of this, I think I am now much more likely to forgive—or at least have developed a muscle for seeing beyond how people affect me to where they are coming from. There was something I heard years ago which I later wrote down in the first notebook I started for this novel. Forgiveness is the price of admission for any relationship—family, spouse, friend, colleague—all require at some point the capacity to forgive and the need to be forgiven. Did You Ever Have a Family is told from multiple points of view. Why did you choose to structure the story in that way? Was it difficult to switch between both the voices of your characters and from first-person narration to omniscient narration as you were writing? Did you write the characters’ sections consecutively? Further to the answer to the prior question, forgiveness requires the ability to imagine into someone’s life enough to see how they might have arrived at the choices they’ve made. To do that is to see outside ones’ own experience. In a story that explores the power of forgiving and being forgiven, it seemed critical to occupy the perspectives of all the major characters—and even a few minor ones as well—to be able to see more clearly the world where these lives happen. As Did You Ever Have a Family ends, it is unclear what will happen to June and Lydia and where they will go. Why do you choose to end the story on an ambiguous note? What would you like readers to take away from the friendship between the two women? I didn’t want to involve a forecast of what would happen next because what is happening in that last scene between Lydia and June is so long-in-the-coming, so hard-won. What matters is that they are now not alone, as they have been from our first glimpse at them at the start of the novel. They have found each other again and they will figure somehow in each others’ futures, wherever that may be. I am working on a story about a family (again!) but in this case it centers on an older man with the beginning stages of dementia who refuses to surrender his independence. He won’t give up his driver’s license or consider help of any kind. His children struggle with respecting his wishes while also trying to protect him and possibly others from harm caused by an accident. It is a situation I am familiar with in my own family and many of my friends’ families. It is heartbreaking on the one hand to see someone have to lose autonomy in their later years but on the other hand it is potentially lethal to have someone driving a car who shouldn’t be on the road. It is into this struggle that I am writing, with more questions than answers for now.